This question comes up a lot! No matter the product, you can extend your carpet’s life by vacuuming consistently. 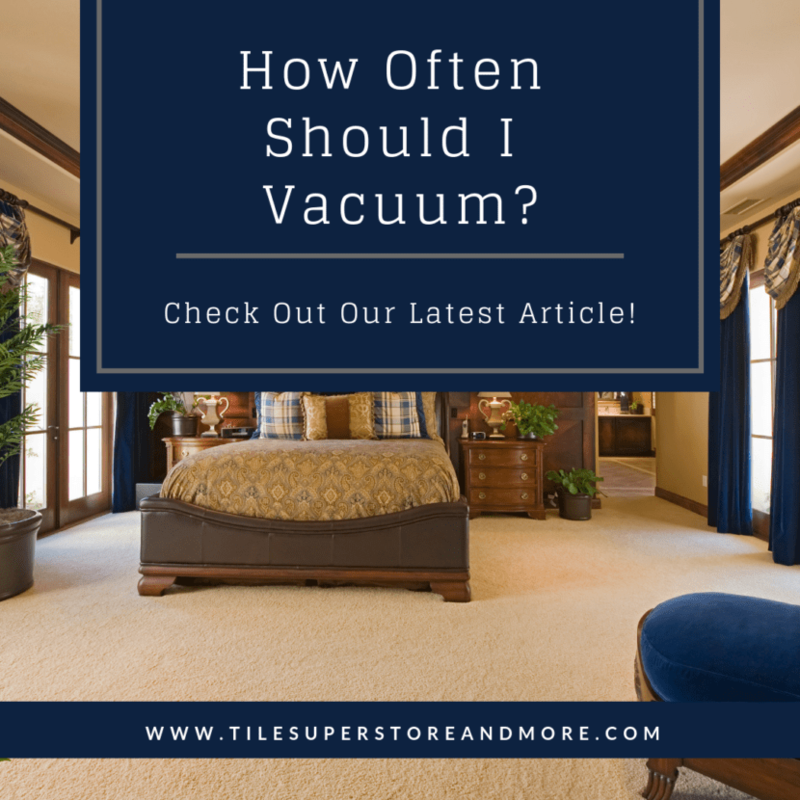 The best carpeting in the world won’t perform or last well if you don’t vacuum regularly. To get the most out of your soft surface flooring, it’s important to implement a regular maintenance schedule. One of the biggest mistakes homeowners make is waiting to vacuum until the carpet begins to look dirty. You won’t always notice the tiny particles that land on your carpet, and it’s most important to remove that soil when it hasn't embedded in the fibers yet. When regular vacuuming is neglected, soil particles become embedded in the carpet fibers through normal use. Since most soil is gritty and rough, the particles will begin to damage the carpet fibers; unless vacuumed regularly. This damage is the main reason carpets age prematurely, so don’t skip routine vacuuming just because your floor doesn’t look like it needs it! Here are some helpful tips to keep your carpeting looking like new! 2. Vacuum all areas at least once a week, even if they look clean. 3. To determine the optimal height setting, test the vacuum in an inconspicuous area, like a closet. 4. Check your vacuum cleaner bag regularly, and change it when it becomes half to two-thirds full. A full vacuum bag will cause the vacuum to clean less efficiently and less thoroughly. 5. Check the beater/brush bar regularly for burs or gouges that might damage your flooring. We hope these tips can help you keep your carpet clean and looking new! Are you interested in replace your current carpet, or any flooring you might have? We can help! Browse our website today to learn more, or find us on Facebook, Instagram and Pinterest to see what we can do for you!